The East India Company experienced its establishment in 1600. It was a trading corporation founded by the alliance of many Englishmen. The East Indian Company had its first voyage in the year 1601 with the intention of trading minerals like iron and lead, and British broadcloth in turn for spice. The Dutch, who then had control over all trades, seemed hardly interested in the idea of doing business with the British simply because the broadcloth offered by them was an impractical item to be sold to the people residing in the tropical areas. The East India Company journeyed their way to India in 1608 and anchored their ships in Surat. They launched their foremost trading ‘company’ at The Bay of Bengal, lying in the east of India. Hence, the factory came to be known as The East India Company. India was an excellent trading opportunity for them, pertaining to the fact that the Dutch had no control over the spices in India. Following this, several other factories were set up in the east as well as the west coasts of the country along with the formation of large British communities in Bombay, Calcutta, and Madras. In the year 1717, Jahangir, the Mughal Emperor, excused the company from paying excise duties, their most significant achievement. After defeating the Nawab of Bengal in the remarkable Battle of Plassey in the year 1757 under the leadership of Robert Clive, The East India Company became a dominant enterprise in India. It then received the authority of collecting taxes on behalf of Jahangir. It plundered Bengal of its prosperity and reduced it to nothing. Although there were only 35 people who were permanently employed, The Company had an army of 260,000 people in less than 100 years. While the British continued to reign over the Indian market, the great Bengal famine of 1769 struck the residents of India. This was subsequent to the British destroying the food crops in order to grow cash crops like indigo and tobacco. The shortage of food killed around 10 million people and had irrevocably catastrophic consequences on the Indian resources. While the local residents suffered from the famine, The Company thought it was in their best interest to store more food for them and their people. 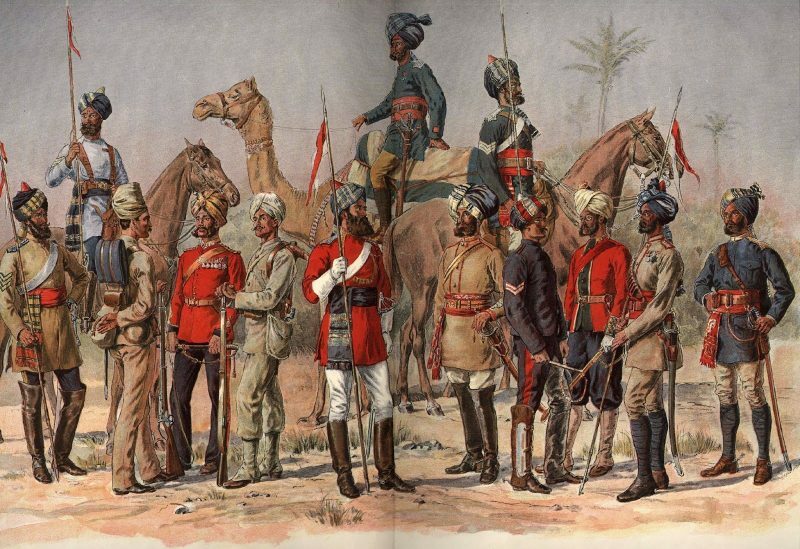 The British were occupied with fighting the Indian enemies for the next few decades. The revenue strategies and other harsh policies made against the Indians gave rise to the Rebellion of 1858, which marked the destruction of The East India Company. In 1859, Queen Victoria took control of the Indian affairs. The reign of The Company ended with Queen Victoria stating that they had accomplished something that no other company in the history had, which explains why the company is still known to have caused the severest corporation violence in world history.